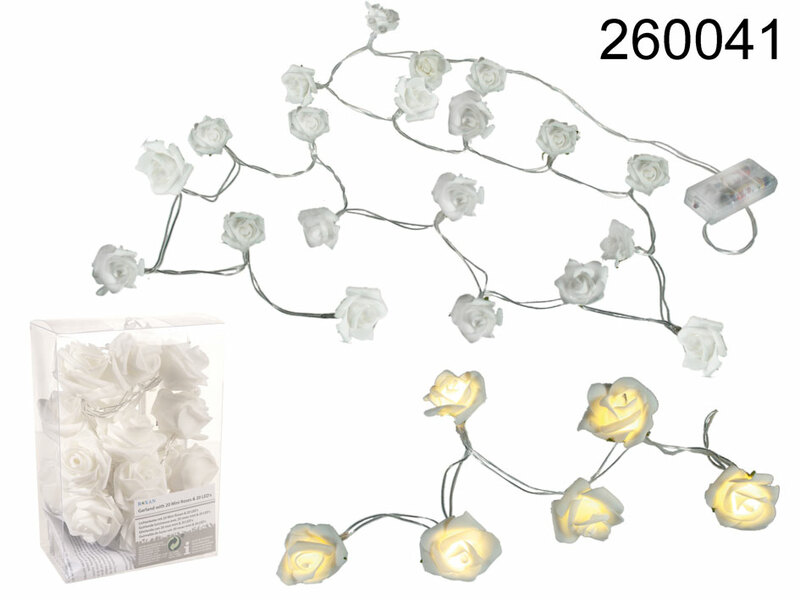 Light chain with 20 white mini roses with LEDs. Beautiful decoration. Length: about 1.60 m. Battery-powered (for 2 AA batteries - not included). Sold in transparent PVC box. For indoor use only. Dimentions: 11 x 11 x 7 cm.